How high will the unit reach? From the ground, the PAL Unit reaches 22 feet*, and the Fat Boy Unit reaches up to 20 feet. How much weight will it handle? The PAL Unit can handle tubulars weighing up to 1,300 pounds, while the Fat Boy can handle tubulars weighing up to 5,000 pounds. The PAL Unit has a footprint of 3 feet by 34 feet, and the Fat Boy Unit has a footprint of 4 feet by 40 feet. How far does it track in and out? The PAL Unit tracks in and out 16 feet, while the Fat Boy Unit tracks in and out 20 feet. What size pipe can it pick up and lay down? The PAL Unit has a tubular handling capacity up to a 7 inch casing and the Fat Boy Unit can pick up and lay down a pipe with up to a 16 inch casing. What is the rental price? The rental price per unit per job varies for each project. Please contact your area sales representative or call the main office at 337.233.8201 to get your estimate. How long will a unit run on a tank of fuel? Both units can run approximately 2 days on a single tank of fuel. Our customers have found it to be more cost effective to supply their own fuel. In specific cases, OIL will supply fuel. Yes. 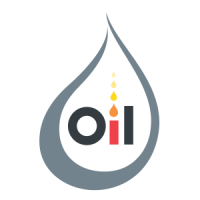 For an additional fee, OIL provides on-site delivery. Can a unit be rented without an operator? Yes. For our Pal Unit, your operator must undergo a training course and become certified by Oilfield Innovators Limited to insure safe operation of the unit. The Fat Boy Unit must be exclusively operated by OIL. How long does it take to rig up a unit for a job? It takes anywhere between 15 and 30 minutes to rig up a unit. Is your machine trailer-mounted or skid-mounted? Both of our units are skid-mounted. Is a forklift required to move the machine? Yes. It takes a 8,000-pound forklift to move the PAL and a 10,000-pound forklift to handle the Fat Boy. Is the machine capable of safely keeping up with the needs of a workover rig? Yes. Our units are designed to safely and quickly operate to meet the needs of a workover rig.